Russia (MNN) — We’re well into summer which often means heat, no school, and camp. Slavic Gospel Association’s Eric Mock says SGA supported summer camps are sharing the Gospel with kids for the very first time. It’s all happening in the former Soviet Union. Summer camps have always been a part of the Soviet culture. After the fall of the Soviet Union, this cultural norm persevered. Countries which were once within the lands of the former Soviet Union continue hold summer camps as a part of regular life. It’s something both kids and parents look forward to. “These summer camps have been pretty profound because again, unbelievers are invited. It’s [a] tradition to go to summer camps. And a lot of times these Christian-based or church-based summer camps are run so much better and so much more exciting than the secular camps that might be available to unbelieving kids,” Mock explains. Summer camps vary from location. Camps help in a city may take place at a park and act more as a day camp. While camps in rural areas may include an overnight stay and camping activities. Camps usually have themes for a week, all of which center around sharing the Gospel with these kids. Furthermore, anti-religious propaganda from the late 20th century has left a bitter taste in the lands of the former Soviet Union. For this reason, the camps are one of the few situations where non-Christian parents trust their kids with Christians or the Church. On top of this, these Christian camps are more accessible. 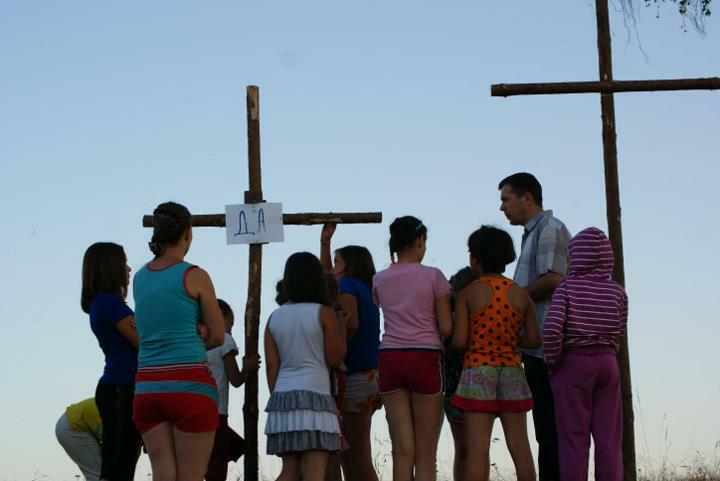 Christian summer camps are often of a higher quality and cheaper to attend than others held in the former Soviet Union. This is because of individuals who have given to support SGA’s summer camp ministry. Through those financial gifts, SGA and SGA supported churches can supplement the costs of attending a camp. This has helped create new opportunities to share about Christ’s love and sacrifice with kids who don’t know Him. “Often, the costs for these camps, at a Christian camp, is significantly lower because both SGA and the local churches are contributing so that it’s very easy for these kids to go to camp,” shares. 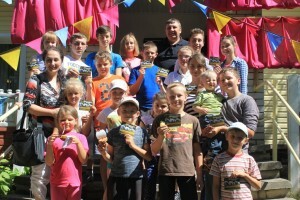 In Belarus, summer camps take things a step further. At Camp Pearl, kids receive medical checks. This is vital because many kids attending this camp suffer from radiation. In fact, most people in this region are still suffering from the effects of the Chernobyl nuclear disaster. 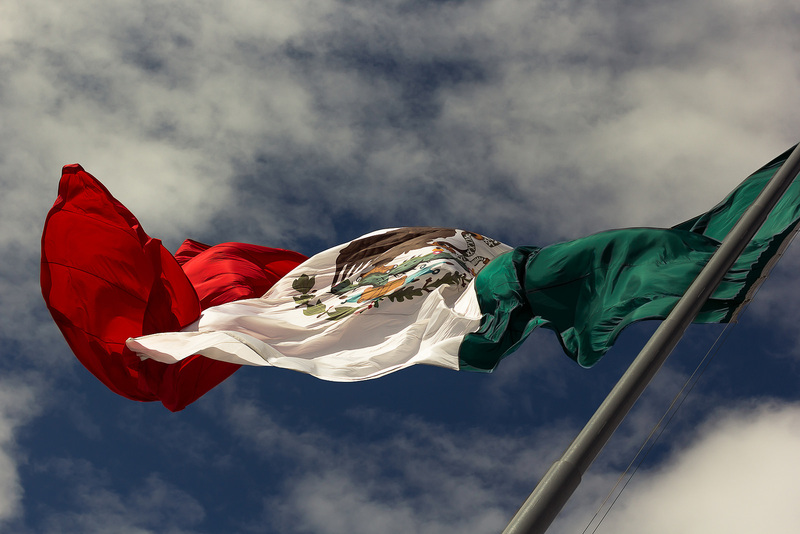 However, churches within Central Asian countries face the more challenges. In these areas, it’s more difficult to hold summer camps because of the pushback against religion. Out of fear and an attempt to curb radicalization and extremism, governments in this region often prohibit most of religious activity. This provides challenges to churches trying to hold community summer camps. So please, pray for these camps and the kids who attend. Ask God to open the hearts of kids at these camps and for them to experience Christ’s deep, transformative love. Will you give a financial gift and provide an opportunity for a child to hear the Gospel? “For every gift to summer camps…you’re providing a scholarship for these kids to go. You’re providing evangelistic literature for them and you’re providing the resources for these camps to be conducted,” Mock says. Learn more about SGA’s summer camps and find ways to give here! Or call 1-800-BIBLE-50 for more info and ways to give. Ask God to open the hearts of kids at these camps and for them to experience Christ’s deep, transformative love. Give to SGA and help fund a child to attend an SGA summer camp!